One of my dreams is to one day visit The Pegu Club in New York and taste Audrey Saunders creations from the master herself (I know, I know she does not run the place herself). I'm amazed that she always manages to invent cocktails that seem so simple they should have been invented a long time ago. The Old Cuban would have been a hit at Floridita in Havana in the late 20'ies when Americans came down to drink real cocktails with first class ingredients. 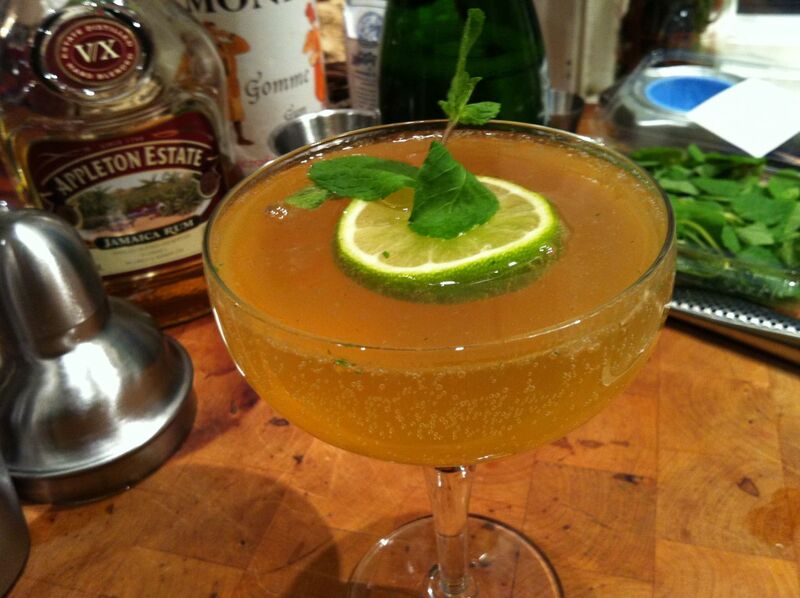 In a mixing glass gently muddle the mint with the syrup and the lime juice, add ice, the rum and the Angostura bitters. Shake and strain into cocktail coupe and top off with the champagne. Float a wheel of lime on top with a sprig of mint pushed through a slit.